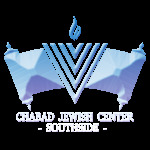 The email is written by Rabbi Yossi Lew, director of Chabad of Peachtree City, Georgia. The emails are edited by Mrs. Arlene Shapiro and Mr. Jeff Kalwerisky of the Chabad community in Atlanta, and Mr. Michael Weinstock of Chabad of Peachtree City. Usually, the emails begin with a personal story or observation by Rabbi Lew, and the main theme connects with either the week's Torah portion or a relevant holiday theme. The majority of material is taken from the vast and expansive Torah expounding by the great Lubavitcher Rebbe, Rabbi M. Schneersohn, of righteous and blessed memory. They have termed it one of the world’s great wonders. At least twelve million visiting people agree, as they make their way there each year. Traveling to and from a speaking engagement in Ontario, Canada, took me straight through this breathtaking vista called “Niagara Falls.” Having never been there before, this was, I thought, a great time to stop for a few minutes and see what the fuss was all about. Visitors can spend a few days here. Even with my few minutes, though, there was so much to see and to learn. In the middle of last week, I was in need of a book I had ordered previously. Confirmation of my purchase had been emailed to me about a month prior, but the book itself had not yet arrived. It should not be too complicated, I thought. I called the number of the publishing company in New York, and the phone was answered almost immediately by a young lady. It is one of the more heartwarming stories to emerge in a long time. Annette, engaged to Lior Solomon, was slated to get married recently in Israel. They booked one of the country’s most gorgeous venues, a setting with exquisite gardens, beautiful décor, and a large hall. Invitations had been sent out, and wedding guests had responded in the affirmative. The bride and groom continued with their preparations. The hall, conveniently located in central Israel, was all set. VO'ESCHANAN-TODAY IS THE HAPPIEST DAY OF THE YEAR! TODAY IS THE HAPPIEST DAY OF THE YEAR! Our dining room table on Friday nights is a rather active and noisy place, as it is in many homes across the globe. Highlighting the din, is the active participation of our children and guests discussing the Torah portion or festivals of that particular week. From the time of Moses, Jewish people focus, study, and “live” with the portion assigned to each week. It takes a full year to get through the entire Torah. And it is the same with the festivals. Before each one, our children will have been well prepared to discuss and celebrate them. Earlier this week, I was settling into my seat on a plane as the rest of the passengers were still embarking. The three seats in the row behind me were already occupied. A cry of “oh no!” was suddenly emitted from one young lady sitting behind us. Naturally, all heads turned back towards this obvious yelp of distress. As it turned out, she had left her cell phone charging back in the terminal. What would she do now? Life without this critical instrument would be miserable. MATOS-MASEI-DO YOU NEED TO KEEP YOUR PROMISE? DO YOU NEED TO KEEP YOUR PROMISE? An agreement was reached this week by global players, much to the consternation of Israel and the majority of Jewish people around the world. Many non-Jewish clear thinking moral and decent people are also scratching their heads in bewilderment over the deal. A deal is a deal, goes the saying. When two people give their word to each another, it should count as a done deal. Ask any decent and moral person the following: If someone promised to perform a particular action, must that promise be kept? Those decent and moral people would surely be inclined to say that the promise must be kept. That is quite obvious. Do you have a hero, or multiple heroes? A person to whom you can look up for encouragement, for emulation, or to aspire to follow in his or her ways? Some look up to those who have had to overcome overwhelming, even unimaginable challenges and obstacles, in order to survive. Some have not merely survived, but have thrived. Others are prone to look up to a parent, a teacher, or a friend, who has invested time and effort to promote and encourage the person, setting him or her up to succeed in life. BALAK-FEAR SHOULD NOT BE HERE! FEAR SHOULD NOT BE HERE! It was around nine in the morning last Friday when I received a call from Israel. On the phone was a woman I have known for a while since her days in Georgia. She was calling about her daughter, who was returning home to Europe via a different country, and was denied entry into that country. Despite just being in transit, the immigration department in that neighboring country wanted this woman out that Friday afternoon. She elected to go to London, where my parents and some of my siblings live. This phone call was a request for me to make the necessary arrangements. Earlier this week, I paid the first of my two annual visits to summer camp. Twice during the summer, I typically enjoy a day engaged in “Chabad style” Jewish programming with the campers. Aside from time with the campers, there is also time to meet some of the staff, many of whom are former students of mine. This time, I also met a staff member from Israel, who had been hired to work at camp for the summer. When it comes to special moments, not many can best the experience of candle lighting time on a Friday evening, a few minutes before sunset (or on the eve of a festival). The female members of the household light a candle, while married women kindle a minimum of two candles. Their hands are then passed around the flames three times, and, as though they are gathering the light into themselves, they cover the area of their eyes with their fingers and hands. The light and radiance of the candles have now been taken inwards. Earlier this week, I received an email from a person unknown to me. It was addressed to a guy named Mark, and I thought it was simply forwarded for me to read and comment. The first half of the email contained words of encouragement to Mark, imploring him to utilize the time he has been given to do whatever it is. The second half of the email is what caught my attention. In this section, Mark was being encouraged to focus upon the Almighty. There was talk about a belief in at least “something,” and about somewhere, “a place,” where people go after death. The email also contained some sinister words about Free Will and about humans destroying the world. Vice President Joe Biden suffered a tragedy this past week. His son, Beau, 46, passed away from cancer. He had been battling the terrible disease for years. This is not the first tragedy suffered by this family. In 1972, a week after Biden was elected from Delaware to the United States Senate, his wife and daughter were killed in a car crash while out shopping. His sons, including Beau, were also hospitalized in very bad shape. It was not clear whether they would survive without brain damage. The sign outside the one-story structure occupies a most prominent place on the edifice. It takes up more space than the façade from which it is hanging. It advertises an oil change for $21.00. With my car needing an oil change, I figured that this price is not too bad. It is somewhat unclear what the Pope actually said earlier this week regarding a certain Palestinian leader. Whatever he said, though, the setting was not in favor of Israel. That is very clear. When the said Palestinian leader consistently promotes the destruction of Israel and its citizens in words and deeds, only the boorish ignorant would consider him a partner for peace with Israel. That should be obvious to anyone who cares about peace. Earlier this year, back in January, I had the great privilege of spending a couple of weeks in the Holy Land of Israel. I was the Rabbi on a “Mayanot-Birthright” trip for young adults, and we spent two unforgettable and beautifully memorable weeks together, bonding into a family. We are still in touch with one another.